Bunyip Bluegum the koala goes on an adventure, on the way he meets Bill Barnacle the sailor and Sam Sawnoff the penguin. When he meets them they are eating a pudding. This pudding (named Albert) walks and talks, changes flavours. He doesn't always taste like a pudding, sometimes he can taste like kidney beans. The pudding also lasts forever no matter how much you eat or take from it - it's always there! 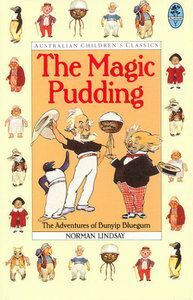 There are also some pudding thieves who try to steal the pudding from Bunyip Bluegum and his friends. I give it Infinity out of 5! - "It was really interesting with lots of good ideas and strategies for saving your life! My mum made me read this because she wants me to try new books." This book is about a group of girls at a boarding school and their life there. One of the girls is Claudine who is French, she hates sport and finds lots of excuses and tricks to get out of doing it. 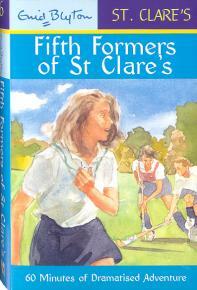 There are also twins Patricia and Isobel who are the main characters in all of the St Clare series. The girls have lots of midnight feasts! Rated: 5/5 - "Really good and kept getting more interesting." Elizabeth comes back for Term 4 and meets a new boy at the school who looks a lot like her best friend Julian Holland. But this boy is competitive, rude, arrogant and mean it also turns out that he is Julian's cousin. Rated: 5/5 - "very interesting." This book is about a baby and a dog who fall into some super juice that gives them superpowers, they become Super Diaper Baby and Diaper Dog (they both wear diapers). A man falls into pee and is really angry and blames Super Diaper Baby and Diaper Dog. He has a cat called Petey who steals diapers and the angry man steals potties. Rated: 5/5 - "very entertaining and funny. I think this book is good for those 7-9 years old!" Prue finds out about Wildwood in the first book in the series when her brother is abducted by crows. 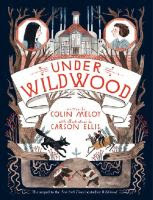 This time Prue and her best friend Curtis need to go under Wildwood to save themselves and their friends and the place they live. Prue and Curtis don't know who is their friend or enemy, for example someone is their friend but then turns out to be a traitor (there are lots of traitors in this book). They get put into a cage made of bones. There are also the Overdwellers, a group made up of mice, squirrels, wolves and moles who are good and fight the baddies. The worst person in the book is the Dowager Governess - she creates a robot son, and as long as he is around she cannot be killed. Rated: 4/5 - "It was good because it was long and very exciting but sometimes it was predictable - you knew where the story was going to go. I recommend this for those aged 9+."